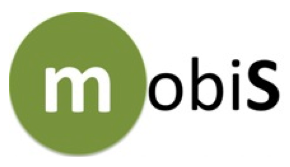 The main objective of MobiS project is to achieve energy efficiency and sustainable mobility, while in parallel satisfying environmental and personal criteria taking into account all different dimensions and implications, depending on the needs of each travelling person: the transport modes, transport objects, and other physical (sensor network), operational and business parameters. MobiS is approaching this complexity in a holistic way by introducing the concept of a mutual symbiotic relation in its core. This is a single, omnipresent relation type where all components that are involved or influenced by the multimodal mobility complex environment like objects (machines, computers, transport devices,...), people (citizens, social networks...), businesses and organisations, legal environment (formal rules, standards, regulations,...) and natural and social environment benefit from interacting with each other towards efficient and energy-positive mobility. − Retrieve and analyse the mobility plan of citizens coming from different information sources: desktop calendar, PDA, sensor tables, etc. − Allow the citizen to define the own decision criteria for the best alternative route, such as cost, time, energy savings, etc. − Collect information about the available transport means satisfying the citizen’s mobility plan. Both traditional (public transport, private transport, urban bicycle networks, etc.) and emerging mobility models (car sharing, tweeting vehicles, etc.) are included here. − Private-public services: concerning traffic information systems, telematics services, time schedules, e-transactions; provided by private or public bodies (urban authorities). − Reasoning, prediction and Artificial Intelligence services: existing infrastructures and project results used in order to provide reasoning, prediction and decision function services. These data will be processed through Artificial Intelligence services in order to serve people’s mobility needs in the most efficient and personalized way. MobiS approaches the complexity of multi-variant criteria and of crowd-sourcing collaborative systems with a holistic approach by introducing the concept of a mutual symbiotic relation in its core. This is a single, omnipresent relation type where all components that are involved or influenced by the multimodal mobility complex environment like transport devices, people, businesses and organisations as well the legal, natural and social environment benefit from interacting with each other towards efficient and energy-positive mobility.